Google released a photo sharing service Photovine for iOS-based devices. Currently, access to this services is limited only to guests invited. The Photovine applications can be downloaded for free and runs on iOS 4.2. Photovine concepts such as vines. A user uploading an image, and gave a description (caption). Furthermore, the caption was the basis of propagation so that people can attach a similar-themed images. Electronista site says that the application is similar to its competitors, Instagram and Facebook. 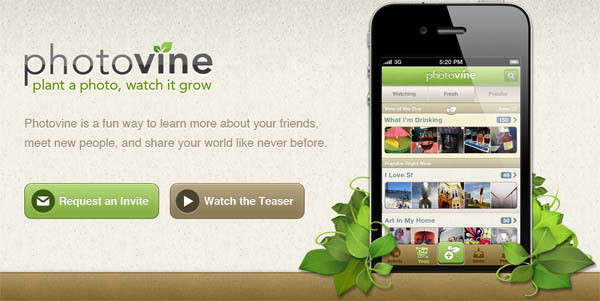 Photovine is one of Google's promotional activities and not available in the Android Market. Im looking forward to this. Might download the App myself when it is released.